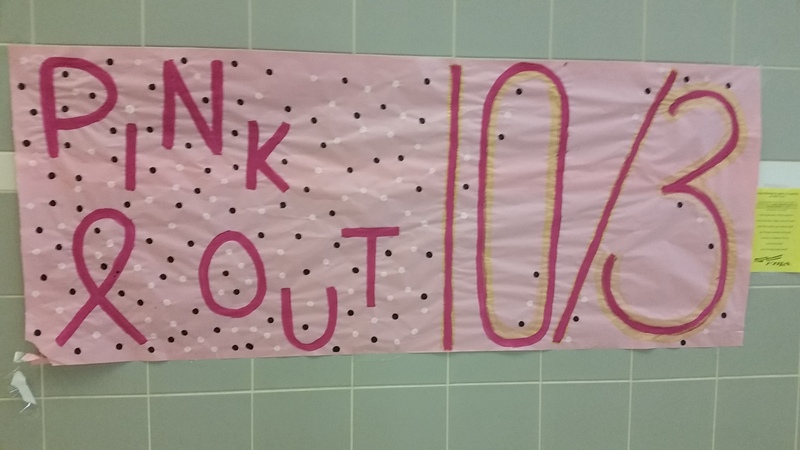 Timber Creek students are encouraged to “Pink Out” on Friday, Oct. 3rd. “Pink Out” shirts were available during lunches earlier this week for students to show their support with proceeds going to the Susan G. Komen Foundation. Pink Out attire for the varsity football game against Fossil Ridge High School on Friday, Oct. 3rd. The game is at KISD Stadium with your Falcons as the home team. There will be a pep rally from 11:50 am-12:30 pm on Friday before students are dismissed for the day. Students are asked to gather at TCHS to send off the team between 4:20 and 4:30 and then carpool to the game for tailgating. Some attendees will be cooking out in the designated tailgating area from 5:30-7:00 pm at KISD Sports Complex.